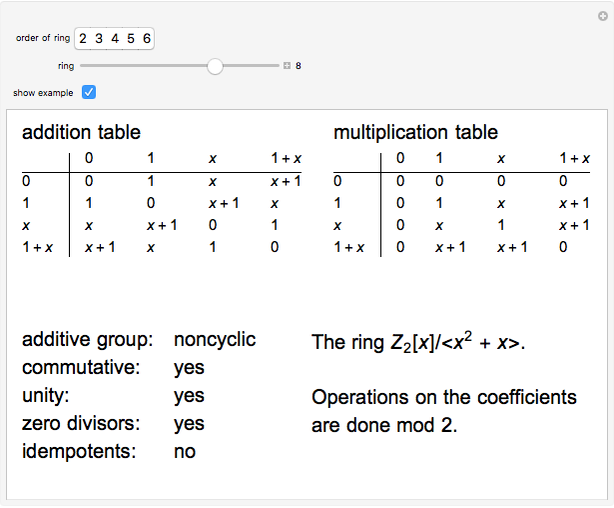 The addition and multiplication tables for all rings of order 2 through 6 are provided, along with a summary of some important facts about those rings. 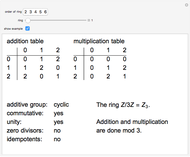 Each ring can be viewed as either an "abstract" ring or as a "concrete" example (matrices, polynomials, etc. ); snapshots 1 and 2 show isomorphic rings, for example. There are only two rings of order for a prime . There are 11 rings of order 4 and four rings of order 6. 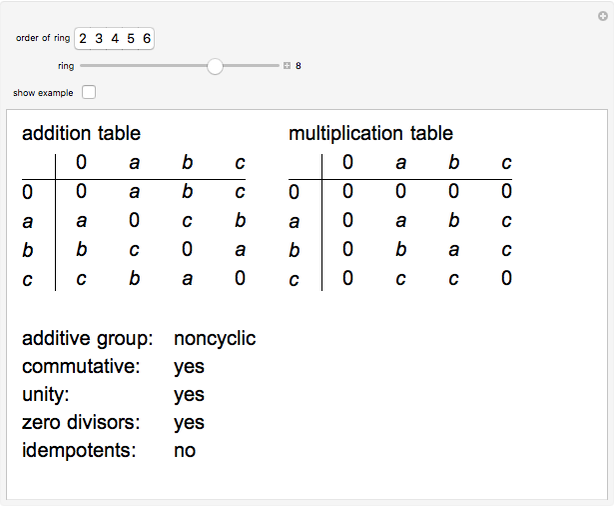 Since the additive group of a ring is Abelian, "commutative" refers to ring multiplication. 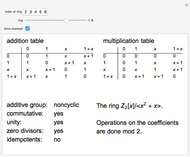 A ring has unity if there is a multiplicative identity. 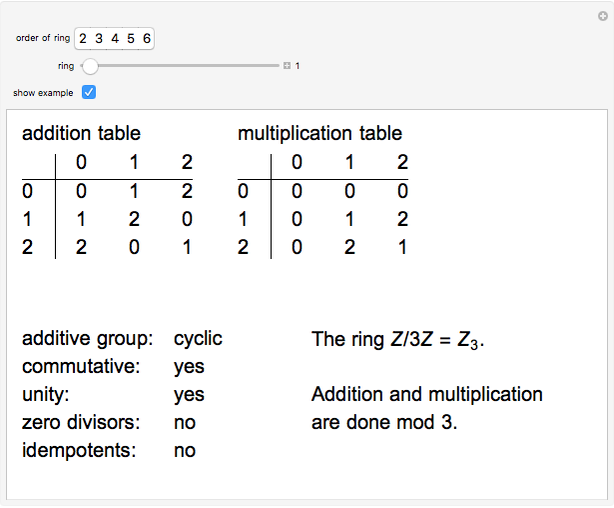 A zero divisor is a nonzero ring element that can be multiplied by a nonzero ring element to get zero. 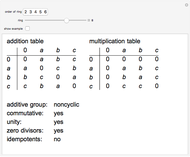 For example, since in , both 2 and 3 are zero divisors in . A (nontrivial) idempotent is a nonzero, non-unity that is equal to its square. Since in , 3 is an idempotent in . For more information, see "Small Rings". Marc Brodie "Rings of Small Order"